1, 5mm thick steel hood and frame, galvanized and powder coated. 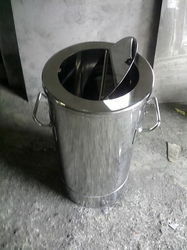 We offer Stainless Steel Garbage Bin to our clients. In order to fulfill various demands of our esteemed clients, we are engaged in manufacturing an optimum quality array of SS Dustbin. - SS dustbin swing type 18 swg body and bottom based wheels. Backed by rich industry experience, we are affianced in providing a qualitative assortment of SS Dust Bin. 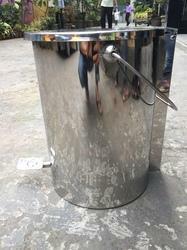 The offered dustbin is ideal to be used in hospitals and is available in enormous sizes and designs as per the requirements of our prestigious clients.